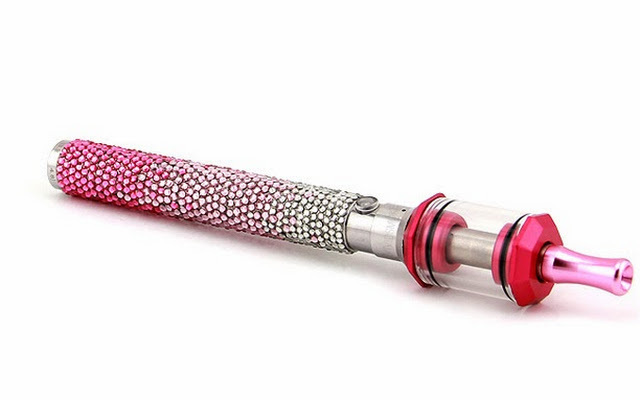 Vaping is made for the 21st century gal. Leave the blowtorch for the welders, keep the hacking to a minimum and vape your cannabis with elegance and class. With the “Green Rush” in full swing, it’s becoming apparent that there are quite a few ways for us ladies to reap the benefits of the wonderful Cannabis plant. Depending on your geographical location, you could have all the options at your fingertips or you might be tasked with getting crafty in the comfort of your own home. Either way, the classiest, most efficient way to get the job done is vaporizing. Now let’s talk details. Yes, of course eating that infused rainbow-sprinkle chocolate cupcake is a fun, delicious way to medicate but there are some definite downsides: it takes forever to kick in, sometimes leaves you with a bellyache, and there’s the cost of unnecessary caloric intake. On the other hand, smoking the good stuff (while it does pay homage to the OG ritual) rips up your throat and can cause insane coughing fits. 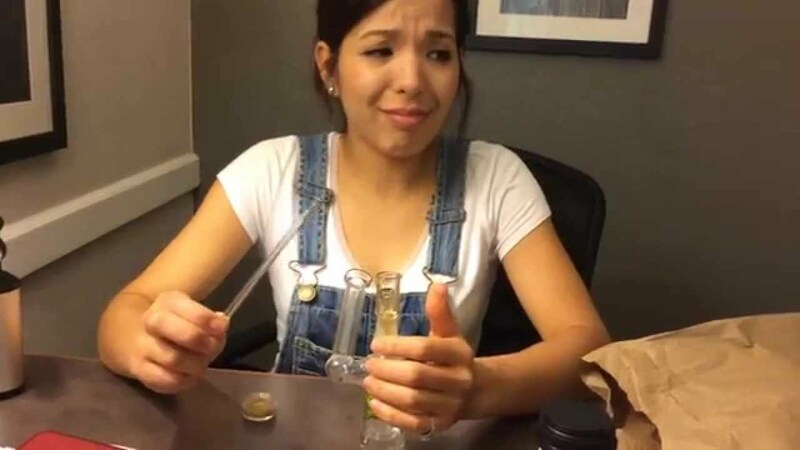 Good luck looking composed when you’re hacking up a lung, shakily trying pass the J. Lastly, there’s traditional dabbing, which introduces another whole host of concerns. Ladies, put the blowtorch down! Vaporizing just makes logical sense. Studies indicate it’s healthier. We know it’s more efficient. We can easily control dosage. It’s safe. So let us use that knowledge and put our money where our mouth is … or how about let’s use that money to buy a vape that will end up where we started… our mouth. (Read all about the benefits of vaporizing vs. smoking here). Yes, a vaporizer is more expensive than a pack of rolling papers but remember: this is a long-term investment and your lungs are worth it. That being said, all vapes are not created equal. Be careful with those super cheap metal/plastic pens. They might be candy-colored, bedazzled and as cute as one of Gwen Stefani’s Harajuku girls, but beware! They are most likely using conduction heating which roasts the bottom of your packed herb and heats the plastic/metal to extremely high temps. We all know what happens when you heat up plastic… and it’s not ideal for the intelligent lady. Instead, think of your Cannabis as a fine red wine. Would you rather drink it from a warm Solo cup or a stemmed glass chalice? That’s what I thought. 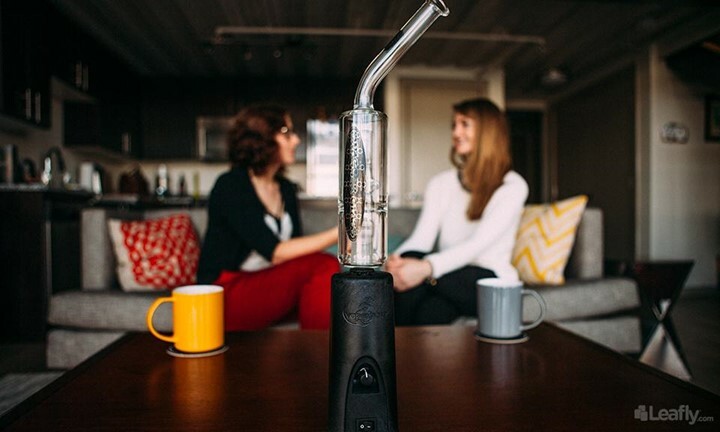 Luckily, there are vaporizer companies out there that share this sentiment, such as VapeXhale, who has created a vape with an all-glass air path and is seriously one of the smoothest, most delicious ways to consume the all-powerful plant we know and love. Whether you just like to chill out with a lil’ THC or you have chosen cannabis to medicinally treat whatever’s ailing you, or perhaps a little bit of both, vaping is the method of consumption for the 21st century gal. Leave the blowtorch for the welders, keep the hacking to a minimum and vape your cannabis with elegance and class.